Ri Mu Yong (Ri Mu-yo’ng) is DPRK Vice Premier and former Minister of Chemical Industry. 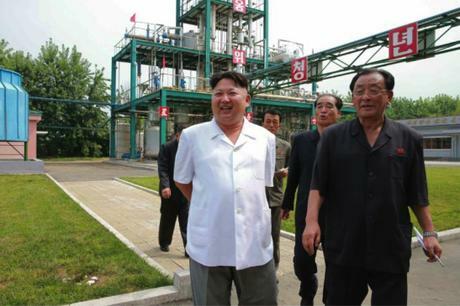 Ri’s formative career was spent as a technical manager in DPRK chemical factories. 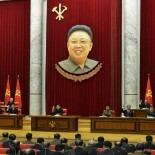 He was elected a delegate (deputy) to the 10th Supreme People’s Assembly (SPA) in July 1998. He addressed the second session of the 10th SPA in April 1999. In November 2000, Ri was part of a delegation that visited a gas plant in Germany. tenure (2003-2007) as DPRK Premier. Ri Mu Yong spoke at a January 2006 national meeting of agricultural workers. He was elected a deputy to the 12th SPA in March 2009 and retained as Minister of Chemical Industry when the 12th SPA met that April. Also during April 2009 he delivered an speech inaugurating the Wo’nsan Chemical Plant’s sealing workshop. Ri was elected a full member of the WPK Central Committee during the 3rd Party Conference on September 28, 2010. In May 2011 he greeted late DPRK leader Kim Jong Il (Kim Cho’ng-il) on his on-site visit to the Namhu’ng Youth Chemcial Complex and during the same month was appointed DPRK Vice Premier, concurrent to serving as Minister of Chemical Industry. market.” Ri delievered the opening speech at the State Industrial Art Exhibition also participated in the debates and discussions at a plenary meeting of the DPRK Cabinet, both during April 2013. Industry during the first session of the 13th SPA in April 2014. In May 2016, Ri was elected a member of the WPK Central Committee during the 7th Party Congress. He spoke at the fourth session of the 13th SPA on June 29, 2016. Ri attended and briefed Kim Jong Un during his on-site visit to the Sunch’o’n Chemical Complex in August 2016. Ri Mu Yong was removed from office as Minister of Chemical Industry during the 5th session of the 13th Supreme People’s Assembly on April 11, 2017. Ri Mu Yong was born on April 8, 1948.